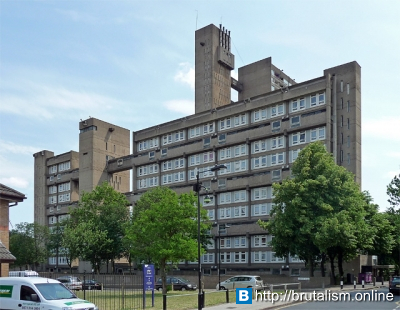 Carradale House is an 11-storey residential building in Poplar, a district of the London Borough of Tower Hamlets in the East End of London. 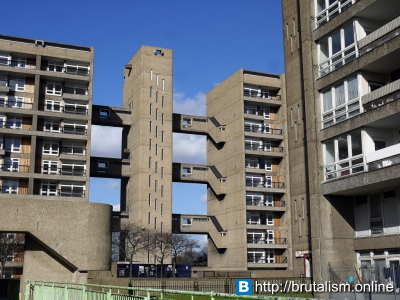 It forms part of the Brownfield Estate, an area of social housing between Chrisp Street Market and the A12 northern approach to the Blackwall Tunnel. 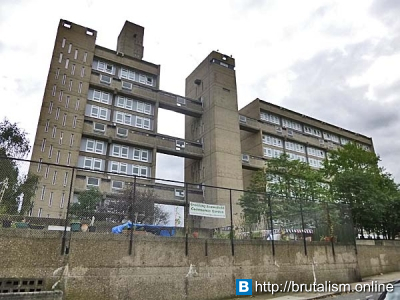 Designed by Ernő Goldfinger in 1967, it is adjacent to Balfron Tower (also designed by Goldfinger) and similarly Grade II listed. 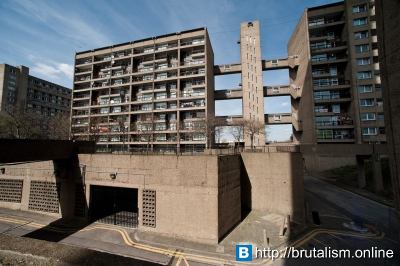 Balfron Tower and Carradale House are natural extensions of each other, linked by style and design, with the long, low form of Carradale House complementing the height of Balfron Tower. All flats have dual window aspect and large south facing balconies, allowing plenty of natural light, and decorated with natural wood panels on the sides. 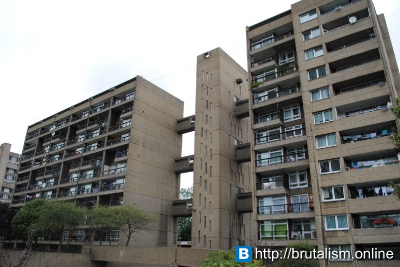 The block is 37 metres (121 ft) tall with 11 floors, and contains 88 flats. 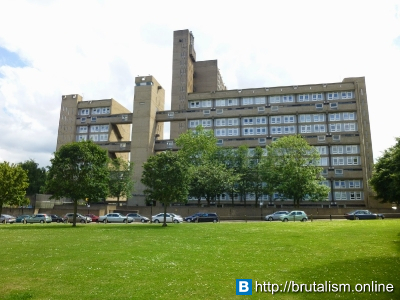 The building has a similar podium to Balfron Tower, albeit more extensive with a large underground car park underneath. It too has sky bridges on the same principle of access at every third floor. 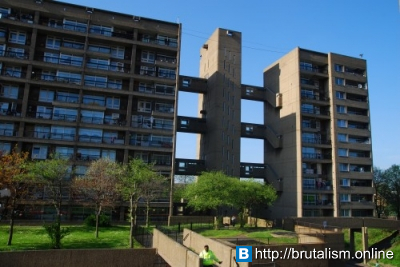 After designing Balfron, Goldfinger identified all the possible improvements and incorporated them first in Carradale House and afterwards to Trellick Tower. 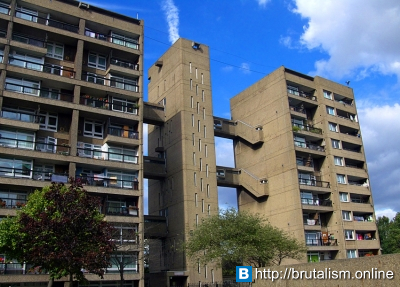 Like Balfron Tower, the robust nature of the detailing to this building has helped it to weather the passage of time. Carradale underwent an extensive and careful renovation, that lasted three years under the supervision of English Heritage and the direction of PRP Architects.